Episode 3, ‘From Death Comes Life’, of the documentary series that is telling the story of the current environmental struggles in China featuring the spoon-billed sandpiper is on the UK’s Channel 4 tomorrow night, at 7pm on Saturday 19 November. The third episode in this series of five stunningly beautiful films continues the stories of Chinese school children, mothers and journalists investigating the effects of climate change across this vast country. On the Tibetan Plateau, novice monk Gama finds out how a huge open cast mine, 14 times the size of the City of London is threatening contamination of the headwaters of China’s ‘mother’ river, the Yellow River. In Central China a courageous young mother finds out that a local factory has been releasing poisonous hydrogen cyanide. And on the coast, the four young journalists enter a competition to highlight the plight of the critically endangered Spoon-billed sandpiper. In episode 3, the stories of people’s lives across China continue to interweave as the larger picture emerges of China battling to balance economic ambition with the terrible environmental price that is being paid. How safe a world will their children inherit, a poisoned land or a home safe for future generations? On the Tibetan Plateau, Novice monk Gama has returned home to his nomad family, to the delight of his little sister Qulamu. There is a sense of unease however as the grassland is changing. An open cast mine, 14 times the size of the City of London is threatening contamination of the headwaters of China’s ‘mother’ river, the Yellow River. Commercial sheep grazing is hastening the melting permafrost on the Tibetan Plateau, releasing lethal methane, the worst of all the greenhouse gases. In central China, investigative reporter Xu and the villagers have gained access to the polluting factory to discover that it has been releasing dangerous hydrogen cyanide. The courageous young mother, Ms Wu, fears for her personal safety but continues her fight to gather evidence. Reporter Xu throws down the gauntlet, it’s up to her to lead the fight. Her small community is in crisis. On the huge Dongting Lake, love is in the air. 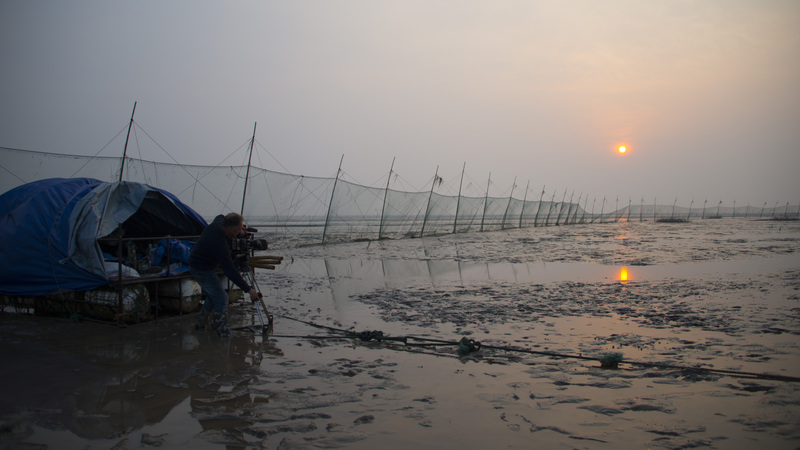 Reporter Xu is marshalling the energy of unemployed fishermen to help save the Finless Porpoise. One of fishermen, Woody, who was badly beaten up defending the Finless Porpoise has fallen in love, having met his girlfriend on the internet. 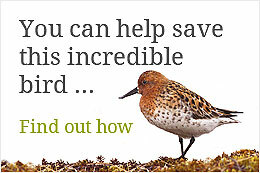 On the coast, the four young schoolchildren journalists continue their personal crusade to save the tiny Spoon-billed Sandpiper. A national nature competition gives them a chance to bring the plight of ‘Spoonie’ to the whole of China and as far as the President himself. Their class is visited by a Tibetan, Zha Duo, from the Plateau. He reminds them that the precious mudflats where Spoonie comes to feed has been created from high on the Tibetan Plateau, brought there by the Yangtze. He tells them of the magical Kekexili close to his home where all the mother Tibetan Antelope, the Chiru, return to calve every spring. The children learn of the sacrifice that Tibetan nomads have made to save the Antelope from poachers. Fabulously beautiful, Kekexili is one of the wonders of the world. It’s close to little Gama’s home. He learns of the ultimate sacrifice of a Tibetan, Sonandajie, who was murdered by poachers defending the antelope. The fur of the Chiru is the most valuable on earth. Little Gama witnesses the returning Antelope, running the gauntlet of their major predators, Tibetan Wolf and Brown Bear who lie in wait for the defenceless mothers. The Chiru used to number in their millions, now the population is less than a hundred thousand. Finally, Little Gama must take his leave of his family, to continue his journey across the Plateau to the largest Tibetan Monastery in the World.